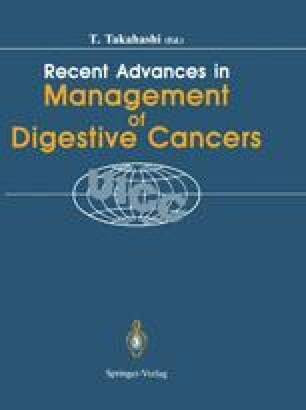 Between 1984 and 1986 2347 patients with invasive colorectal carcinoma were registered in a prospective multicenter observation study in which seven German institutions participated. The 5-year survival following tumor resection primarily is influenced by the residual tumor (R) classification. Within the RO patients prognosis can be well estimated by pTNM and pTNM based stage grouping. Stage III is inhomogeneous and should be subdivided into pNl and pN2,3. The 5-year survival rates for the individual institutions showed significant differences for the total, but also for the individual stages. This reflects the importance of the surgeon as “prognostic factor”.